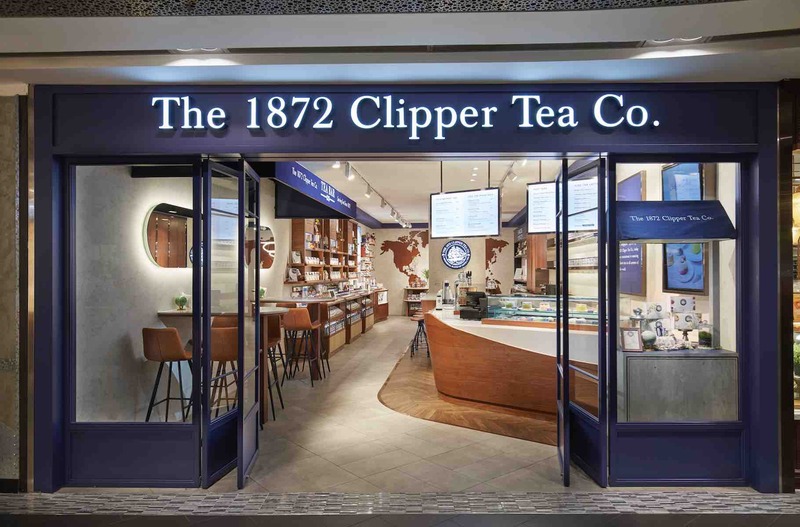 1872 Clipper Tea Bar Singapore – Cold Brewed Tea On Taps & More! 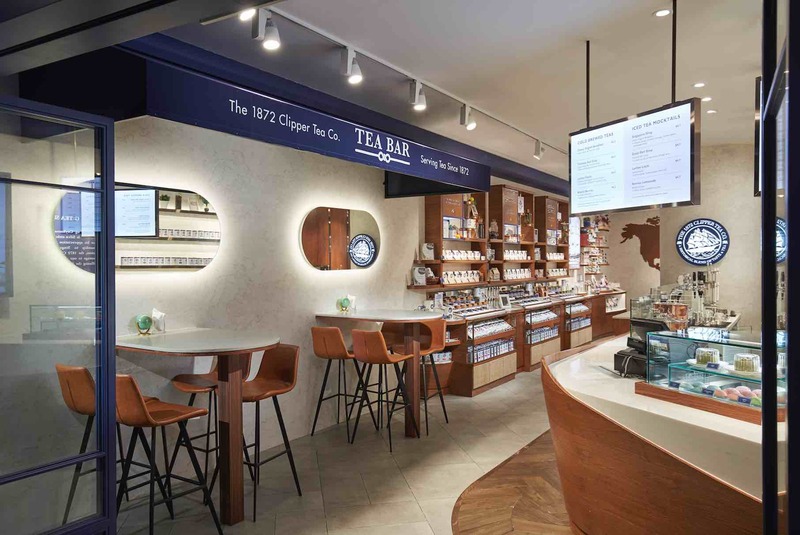 The 1872 Clipper Tea Bar Singapore at its ION Orchard flagship store invites you and your loved ones to experience an unforgettable spot of tea and treats the next time you are in town! 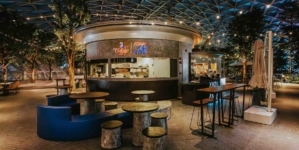 With an addition of twelve seats, the revamped tea bar offers you a spacious and serene respite from the bustle of shopping activity at Orchard Road. 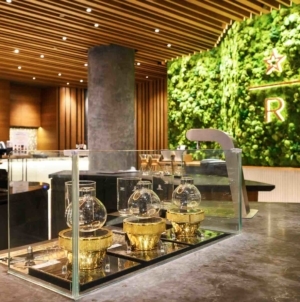 For a brand new tea bar experience, order your cold brewed tea on the taps and sit by the island counter for an immersive experience with knowledgeable servers who are happy to discuss all things tea-related. Cold brewed teas gained immense popularity over the past few years thanks to their less astringent and less caffeinated profiles. The 1872 Clipper Tea Co. prepares its cold brewed teas by steeping tea leaves in room temperature water and refrigerating them for six to eight hours. 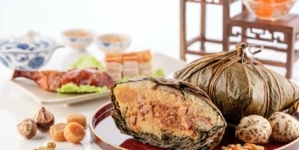 The teas are then infused with nitrogen to create a creamy silky texture. 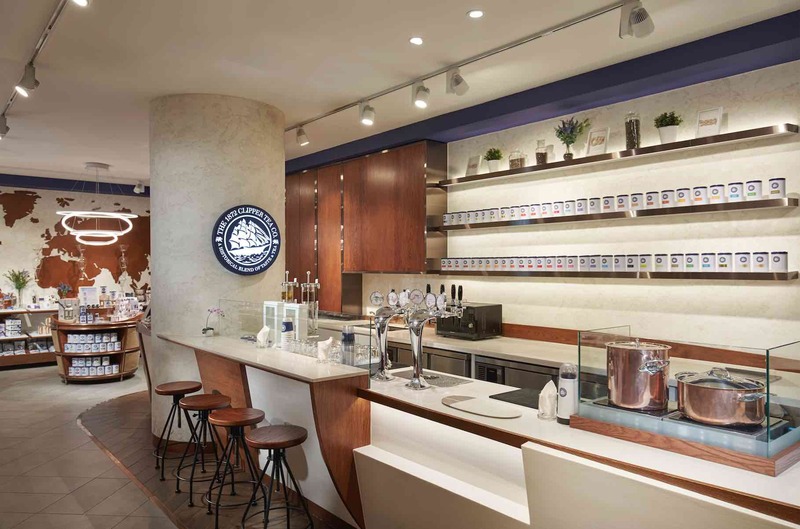 The 1872 Clipper Tea Bar Singapore recommends enjoying the cold brewed teas without sugar, so their smooth and natural aromas can be best savoured. 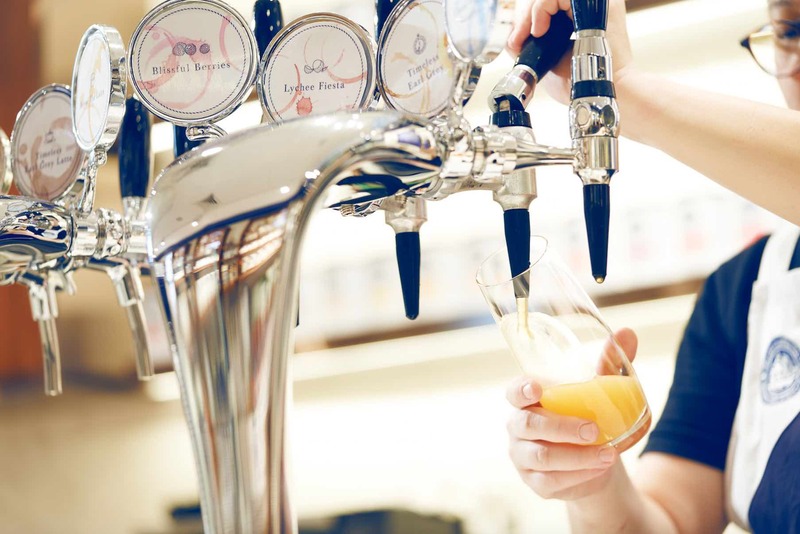 From full-bodied Classic English Breakfast ($4.20) to the fruity Blissful Berries ($4.20), enjoy fresh, quality and value-for-money cold brewed teas dispensed from a beer tap at the tea bar for a refreshing pick-me-up any time of the day. Infused with delicious tropical flavours, the invigorating range of iced tea mocktails is what you need to beat the afternoon heat. 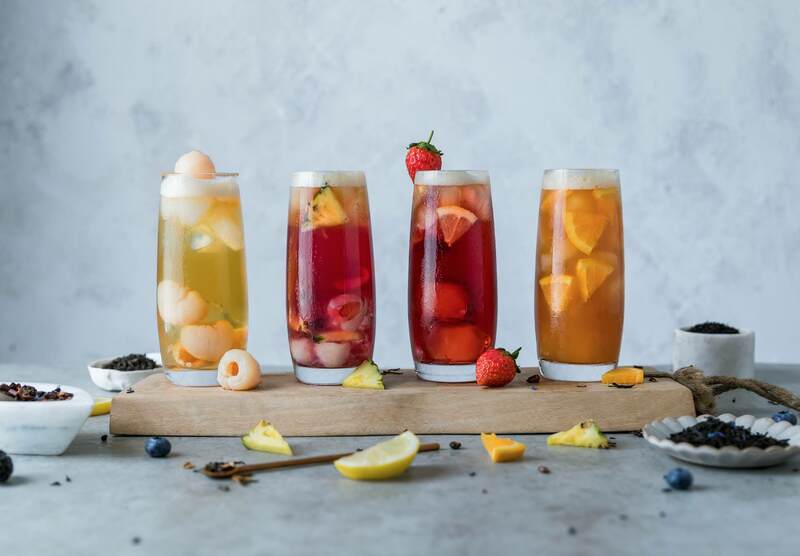 All syrups are prepared from scratch at the tea bar and made using only fresh ingredients, sugar and water in order to inject a natural dose of flavours into the iced tea mocktails. The Singapore Sling ($4.70) is an alluring alcohol-free version of the iconic cocktail, mixing Classic English Breakfast with hibiscus syrup, coconut shavings, lychee pieces and pineapple slices. The fruity-floral notes of Lychee Fiesta, a popular blend of Chinese Jasmine tea, rose petals and lychee, are enhanced with fresh lychee pieces, lychee syrup and mint leaf to create the sweet yet soothing Lychee Litchi ($4.70). 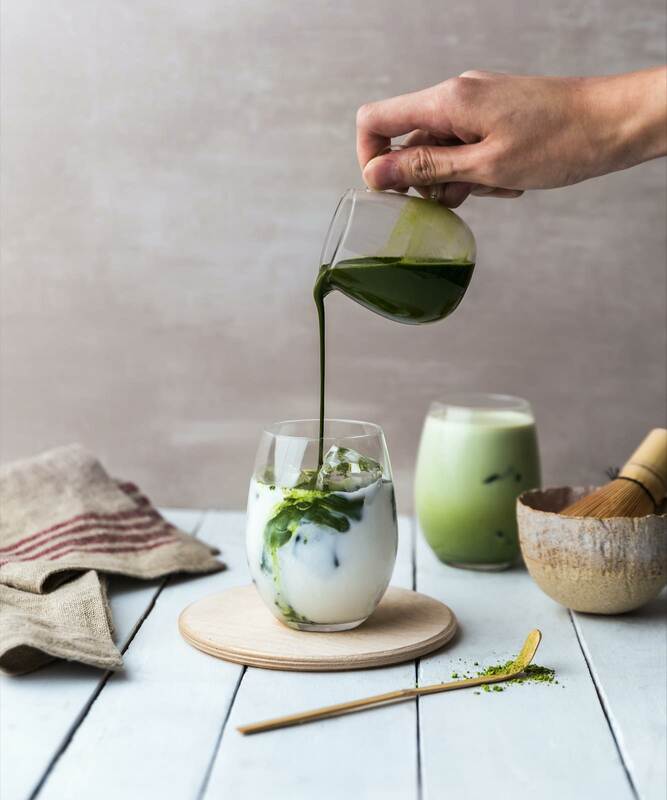 1872 Clipper Tea Bar Singapore tea lattes are produced in small batches on a daily basis by combining aromatic tea leaves with 100% fresh milk. 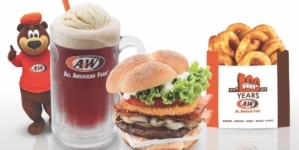 To prepare the iced tea lattes, tea leaves are simmered in milk over low-medium heat, which reduces the liquid content and brings out a stronger tea flavour, while a lower sugar level means the smooth beverages can be relished without guilt. The Timeless Earl Grey Latte ($5.80) is a luxurious and comforting concoction with aromatic notes derived from its namesake tea, which is blended with cornflower and cream, while the vivacious and verdant Matcha Latte ($5.80) is made from Japanese tea-maker Ito En’s green tea powder that gives the drink its enticing richness and lingering sweetness. All hot teas are expertly prepared using leading brew machine producer Alpha Dominche’s steampunk machine. 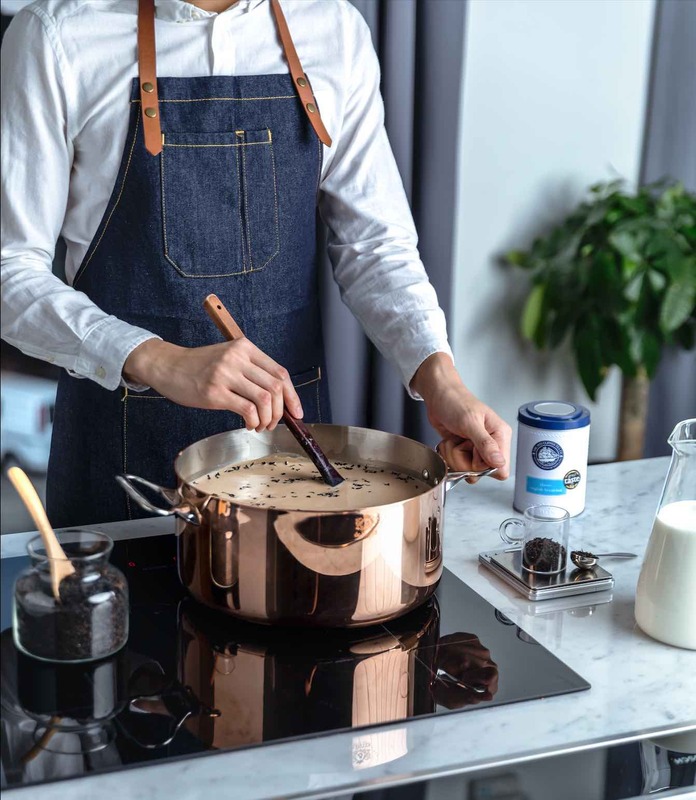 Thanks to its fully customisable settings that include temperature, time, filter and agitation (the shaking of tea leaves to encourage release and distribution of tea chemicals into the water), every cup is prepared with absolute precision and accuracy. 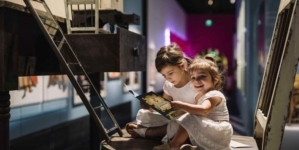 You can participate in the experiential process of watching, hearing, smelling, and tasting the brews that are prepared on the spot using the steampunk brewer. 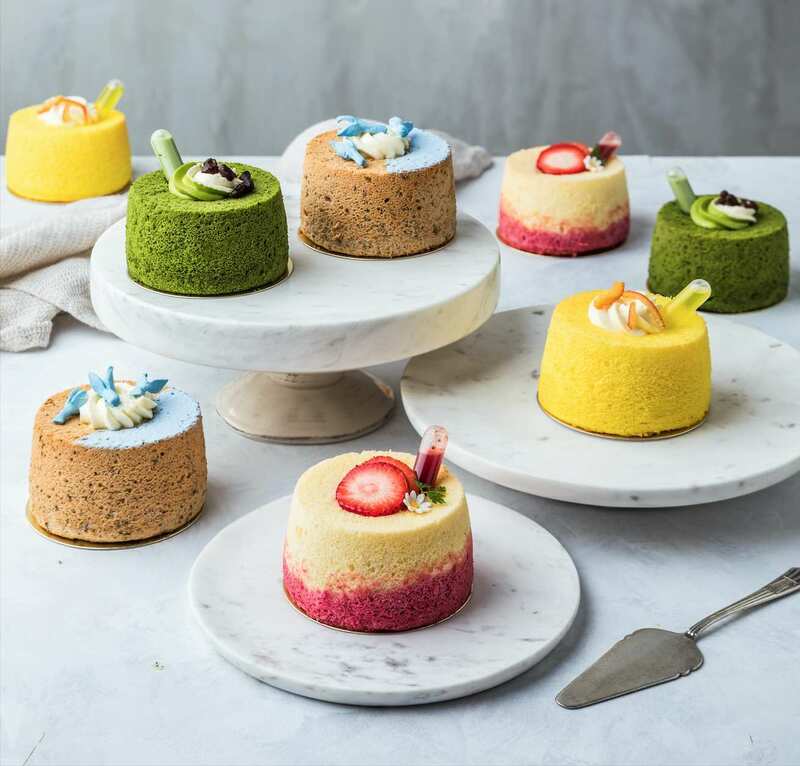 In addition to new beverage items, The 1872 Clipper Tea Co. has also unveiled an updated dessert menu in collaboration with Dulcet & Studio that is specially crafted to pair with the drinks available at the tea bar. No afternoon tea is complete without a quintessential royal favourite – try the new Scones (2 for $6), which are freshly baked in the store every day and served with strawberry jam and cream. 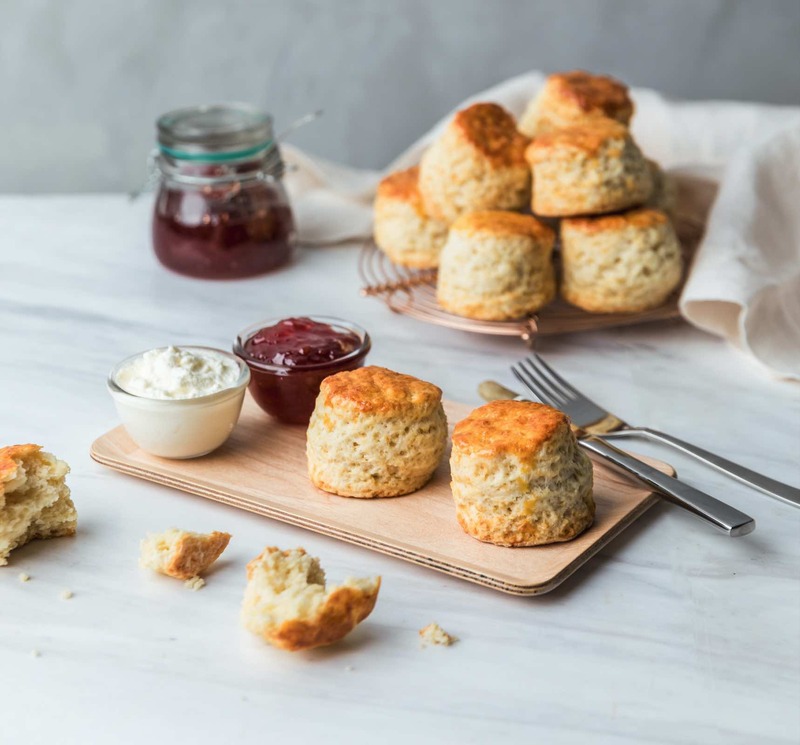 Buttery and crumbly, enjoy the scones with the traditional pairing of a piping pot of tea or a hot tea latte. 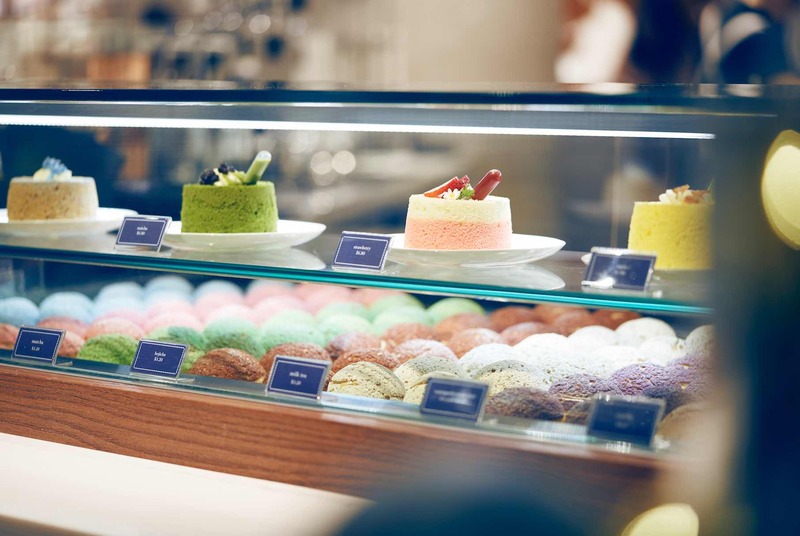 Another notable highlight is the selection of Chiffon Cakes ($6.80 each) in assorted renditions, including earl grey, matcha, strawberry and yuzu. The subtle and sophisticated flavours of these delightfully fluffy sweet treats go especially well with delicate fruity-floral teas. 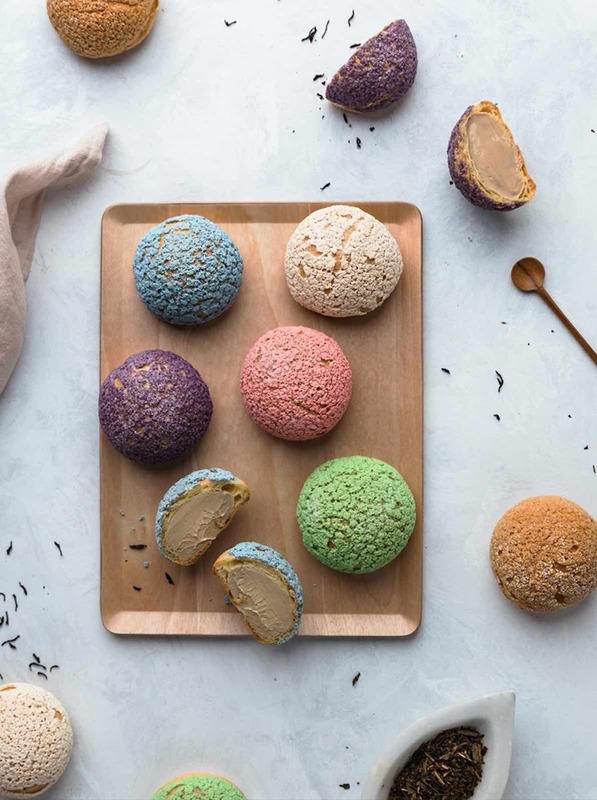 Tea Puffs ($3.20 for each, $12 for 4) remain a staple at the flagship store, with their pastel- perfect choux casings and delightful tea-infused cream winning over many sweet-toothed tea aficionados.